“Z” means this part is a Qualification Sample as opposed to a shipping retail part. “G” is thought to be a console reference. “1670” refers to the frequency, model number, and chipset, but the exact meaning in this context is unclear. The next bit, “2A,” refers to TDP and VRM, but we don’t know what this signifies precisely. “E” refers to the physical package — another unknown at this point. “8” is the physical core count, “J” refers to a still-unknown cache configuration, and B2 is the core stepping. This has increased from A2 in the previous part, implying that this is a later revision of the same chip. There seems to be a bit of confusion, however, regarding the next segment. According to the guide, this is the boost and base clocks of 1GHz and 3.2GHz respectively. THG, however, reports that the base clock on this part is actually 1.6GHz. That could be a reference to the “1670” earlier in the model number. Our guess is that the “1670” refers to the base clock on the CPU, while the base clock on the GPU is 1GHz. This would track with the next number — 18 — which implies a max boost for the GPU core at 1.8GHz. This would be congruent with the idea of adapting a base and boost clock for both CPU and GPU, while still targeting the lower clocks that GPUs tend to use as opposed to high-speed CPU clocks. 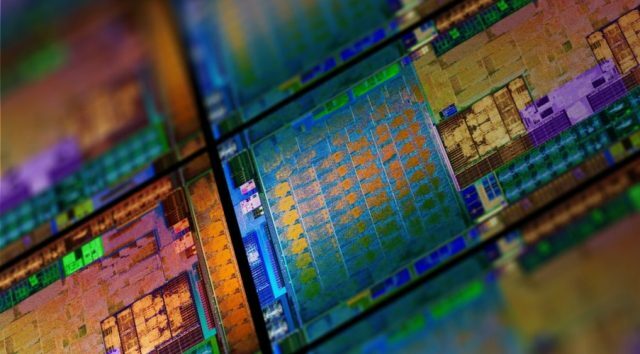 So, putting it all together: The rumor here is that AMD Gonzalo has advanced from being a chip with a 1GHz base clock and 3.2GHz boost to a 1.6GHz base clock with 3.2GHz boost. The CPU is an eight-core chip and the GPU clock may be 1GHz base, 1.6GHz boost. The GPU is classified as Navi 10 Lite, but we don’t know anything else about the configuration beyond that. Assuming that this SoC is a Zen derivative, the amount of available CPU horsepower inside next-generation consoles will be substantially higher than this generation. The Jaguar CPUs that drove the PS4 and Xbox One were capable low-power cores, but at this point, the original “Bobcat” CPU design Jaguar was based on is eight years old. In head-to-head tests, Jaguar was, at best, capable of matching AMD’s Kaveri clock-for-clock. More often than not, it lagged that CPU by 15-25 percent. Given that Ryzen delivered a 1.52x IPC improvement over AMD’s previous Excavator core and Excavator was substantially faster clock-for-clock than Jaguar on average, the new CPUs inside next-generation consoles could plausibly deliver at least 2x the CPU performance of the baseline Xbox One and PS4. If these chips prove capable of holding >1.6GHz clock speeds, the gains could be even larger. Other tweaks, like using a unified eight-core design with full-speed L2 cache as opposed to the 2x quad-core architecture with half-speed L2 that typified this console generation could provide additional improvements. The GPU improvements are impossible to quantify right now; we know too little to even guesstimate them. The CPU gains, however, should be quite strong.